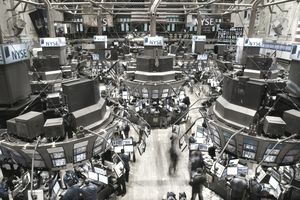 As we have seen in the last couple of years, the global financial markets are a web of interconnected institutions and processes. Market participants depend on each other for stability as well as profits. However, while attention has traditionally been paid to the reward side of the equation, the proper functioning of this network relies on a clear understanding of risk management. This primer highlights the critical role played by the clearinghouse, the risks that a central counterparty (CCP) bears and the tools applied to mitigate those risks. The matching of buyers with sellers is only the beginning of a successful transaction. In the absence of instantaneous transfer of goods with payment, there exists a need for financial intermediaries to manage inherent "counterparty risk," or the potential for either side to not fulfill their contractual obligations. This risk is particularly acute for derivatives instruments where settlement is much further out than the T+3 period for cash equities. Clearinghouses are institutions that manage this risk and guarantee contractual performance by playing the role of a central counterparty. This is achieved through the application of two key concepts - novation and collateral. Novation is the replacement of a contract between the original counterparties with two new contracts; one between the buyer's clearing broker and the CCP, and another between the CCP and the seller's clearing broker. By stepping into the trade, the CCP effectively becomes the only legal entity that the market participants need to be concerned with. As novation occurs at a large scale, trades are netted; thereby reducing the number of open positions and increasing capital efficiency. The CCP's ability to guarantee performance hinges upon the second concept of collateral. Through the duration of the contract, performance bonds are posted by the buyer/seller in order to remove all market risk on a daily basis and revalue the contract to current market prices, i.e. "marking-to-market." In addition to unrealized losses, the margin for potential losses may be called for. Settlement banks are institutions that facilitate the transfer of this collateral from the clearing brokers to the CCP and represent an important link in the system. In the same way, any settlement margin that is due to the clearing members from the CCP is an exposure that must be managed carefully, as it is contingent upon the settlement system working properly. Without sufficient funds flowing in each direction as expected, the orderly functioning of our interconnected financial systems would be in jeopardy. Therefore, while it can be tempting to take post-trade operations for granted, it is necessary for each market participant to be aware of clearinghouse and settlement system risk, and monitor them in a controlled manner. Credit risk: As discussed earlier, the CCP takes on credit risk on behalf of the original counterparties. The CCP mitigates this risk through the use of multilateral netting and marking-to-market positions through the day with an appropriate amount of performance bond collateral. Should a clearing member default and the collateral margined is insufficient to cover the obligations, loss mutualization may be implemented - where funds are sourced from a guarantee fund with contributions from the remaining members of the CCP. Liquidity risk: Fulfilling payment obligations in a timely manner is particularly critical for clearinghouses, as to not bring solvency into question. Whether it is a payment of option premium pass-throughs, profits on outstanding contracts, reimbursements of cash initial margins, or payments for deliveries, clearinghouses must balance liquidity with the cost of funds. Upon exhausting the collateral posted by the defaulting clearing member, the clearinghouse may tap into a line of credit in order to settle the account. For instance, CME Clearing has a facility in place that can provide $800 million in funds within an hour. Principal risk: While the majority of transactions are of the cash settlement variety, there are some that require physical delivery, with Delivery versus Payment (DVP). As a result, clearinghouses risk the payment if goods are not delivered, and risk the goods if payment is not received. Settlement bank risk: In the case of settlement bank defaults occurring after funds are debited from a clearing member's account and credited to a clearinghouse's account, but before being transferred to another settlement bank, the clearinghouse would be liable. Legal agreements can reduce this risk by calling for netting of payments to clearing members from the clearinghouse, or have the loss shared by the settlement banks that were scheduled to receive the funds. Legal risk: Having proper bankruptcy procedures in place is paramount in the event of default by either clearing member or settlement bank. Multilateral netting is an operation that is of particular concern given its role in reducing open positions and preventing payouts to a defaulting party even as funds are not available for collection by a clearinghouse. Operational risk: The risks arising from technology breakdowns or human error compound the aforementioned risks. For instance, inaccurate variation margin calculations would increase credit risk, whereas not having the proper human procedures in place would allow for deficient monitoring of liquidity or documentation controls. Redundant and separated data centers with periodic business resiliency drills can maintain a clearinghouse's crisis-ready condition. Given the myriad of risks faced by clearinghouses, mandating all standardized OTC derivatives contracts to be cleared by a CCP under Dodd-Frank reforms will only increase the overall importance of these institutions. The potential for impacting the entire financial system poses a systemic risk that is being scrutinized and will be continually addressed as the global markets and its instruments evolve in the coming years. Clearinghouses play a critical role in the financial markets. Central counterparties like DTCC are instrumental in minimizing the fallout from defaulting institutions, as was evident in the wake of Lehman Brothers' collapse. As the proliferation of investment products expands at a quicker pace, the need for clearing of both exchange-traded and OTC transactions grows in direct proportion. However, just as clearinghouses reduce risk, increase capital efficiency, and enhance price transparency through painstaking controls, they too must be carefully monitored and regulated for the safety of its clearing participants and stakeholders. Even as the SEC and CFTC provide industry oversight, it is incumbent upon each clearing member to conduct strict reviews of their central counterparties and ensure the highest standards of risk management and financial safeguards.